The inhabitants of this town are known as "Traperos" (cloth makers) because its origins are linked to an old cotton mill, where the majority of the population worked. 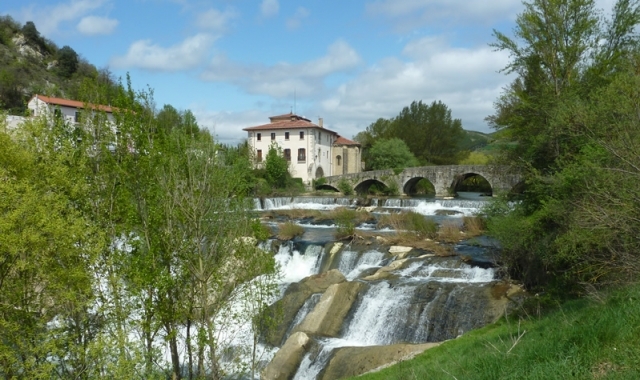 As always, closely linked to the nearby Pamplona. Villava has all the amenities that pilgrims may need: Supermarkets, chemists, cafes, restaurants, etc ... This council is famous throughout Spain for being the birthplace of the cyclist Miguel Induráin, who won the Tour de France for five consecutive years, from 1991 to 1995. If you are traveling on the Camino de Santiago or are planning to do so soon, you should know that the distance separating Villava from Santiago de Compostela is 711 kilometers.